SweetPeachValentinesDay from Sweet Peach blog on Vimeo. Most of our Make It features don't call for a tutorial. 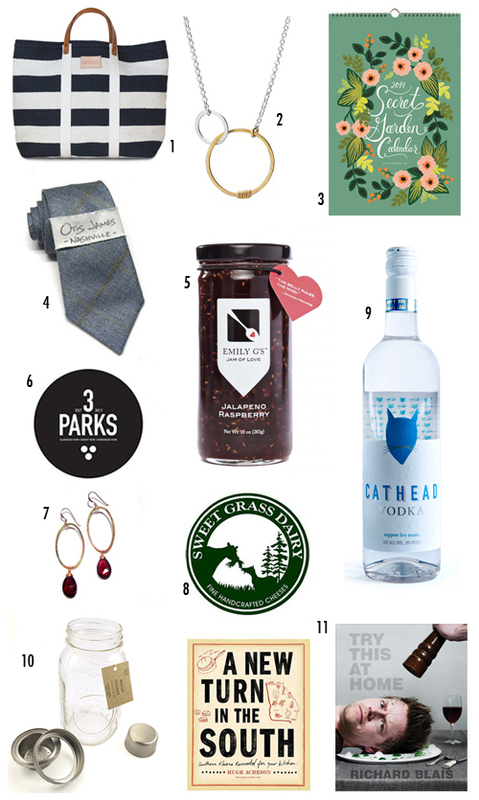 Check out Alabama Biscuits to make homemade treats for that someone special. 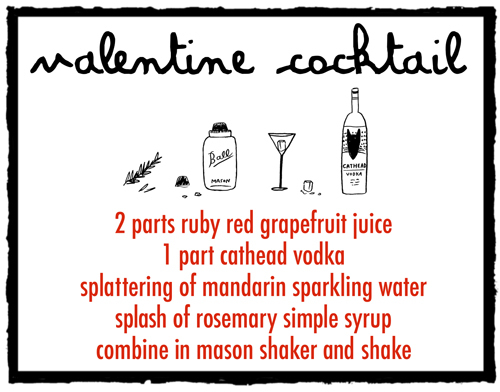 And here's the recipe for our Valentine cocktail that was a smidge strong and super tasty...adjust as you like. So many people to thank for this video. First off, I thank Mr. James for his tireless efforts in shooting and editing this video; Sarah Neuberger of The Small Object for her incredible, adorable illustrations; Beth Lord for her set styling, biscuit making and master crafter ways; Bob Conquest, Andy Cleary, Sarah Pierre, Tiffany Santiago and Bradley Odom for giving up a Saturday afternoon to be willing guinea pigs in my latest concoction; Andrew Gawdun for his musical guidance... and all the southern designers and artists that inspire me each day.